Mookaite is a stone of the "here and now." It can help one balance the internal and external and acceptance of change. It helps with living meditation, where one makes a meditation of any act one does. 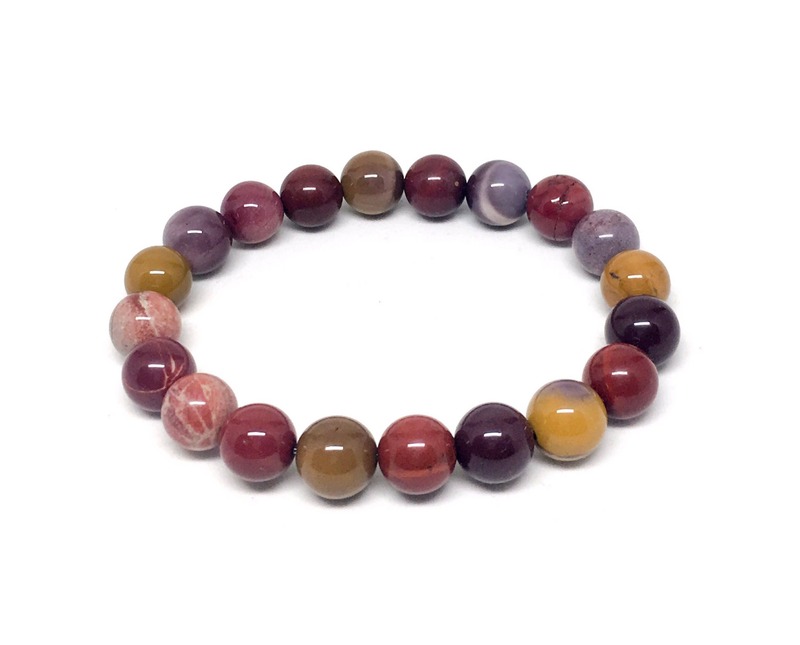 Mookaite is a very protective stone, and is particulary good as an emotional protector. In the physical realm it is said in crystal healing lore to stabilize health and fortify the immune system. Note that healing crystal meanings are spiritual supports to healing and are not prescriptions or healthcare information. Mookaite is associated with the lower chakras. This gorgeous bracelet comes in a customized Sill Suede jewelry pouch with our logo.